We all do it. 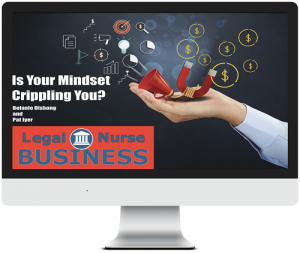 No matter how successful you are, at one time or another you’ll fall into the legal nurse consulting self-sabotage trap, and the price of admission is high. The end result? Frustration. Burnout. Resentment (of your clients or your business). And yes, even more self-sabotaging behaviors. This downward spiral can quickly turn devastating, but stopping it is easy when you learn to recognize the symptoms. The why behind what you do: are you driven by passion or by finances? Ask yourself, “Is your mindset crippling you?” That may sound like an extreme question. Often, we do not realize how our thoughts and perspectives are holding us back from personal or business success. Belanie’s programs have successfully transformed the lives of her audiences. Get her training at http://LNC.tips/masteryourmindset. 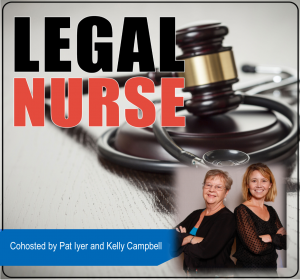 Pat founded, grew and sold a successful legal nurse consulting business that had annual sales in the 7 figures. Ask questions and get guidance from Pat, an experienced LNC coach who built a large business.